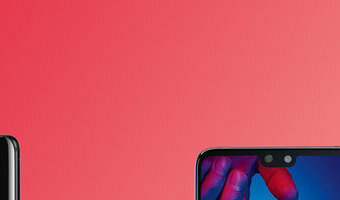 OnePlus and Huawei are arguably the two most recognisable smartphone brands to come out of China and be successful in Western markets over the last few years.The OnePlus 6T joins the five-month old OnePlus 6, going up against the likes of the Huawei P20 and P20 Pro that launched in April. Here is how the OnePlus 6T compares to the Huawei P20 and P20 Pro.OnePlus vs Huawei design Huawei P20: 149.1 x 70.8 x 7.65mm, 165g Huawei P20 Pro: 155 x 73.9 x 7.8mm, 180g OnePlus 6: 155.7 x 75.4 x 7.75mm, 177g OnePlus 6T: 157.5 x 74.8 x 8.2mm, 185g It's safe to say Huawei's P20 and P20 Pro both took a huge detour from the path forged by the P10 series in 2017. Metal backs are out, and shiny, gorgeous, iridescent glass is in. Whichever colour you go for, you'll be getting one of the best looking phones of 2018.The OnePlus 6 follows this trend, replacing the aluminium body of the OnePlus 5T with a glass rear in the OnePlus 6, and the OnePlus 6T does the same. The OnePlus 6 has a … [Read more...] about OnePlus 6T vs Huawei P20/P20 Pro: Which should you buy? OnePlus 6T vs Huawei P20/P20 Pro: What’s the rumoured difference? OnePlus and Huawei are arguably the two most recognisable smartphone brands to come out of China and be successful in Western markets over the last few years.Huawei's P20 and P20 Pro launched in April, while OnePlus announced the OnePlus 6 and it will reveal the OnePlus 6T on 29 October. Here is how the OnePlus 6T could compare to the Huawei P20 and P20 Pro, based on the speculation. 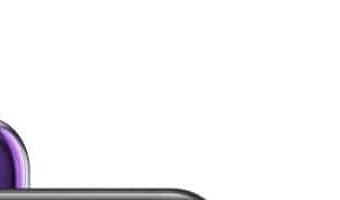 OnePlus vs Huawei design Huawei P20: 149.1 x 70.8 x 7.65mm, 165g Huawei P20 Pro: 155 x 73.9 x 7.8mm, 180g OnePlus 6: 155.7 x 75.4 x 7.75mm, 177g OnePlus 6T: 157.5 x 75.7 x 8.2mm rumoured It's safe to say Huawei's P20 and P20 Pro both took a huge detour from the path forged by the P10 series in 2017. Metal backs are out, and shiny, gorgeous, iridescent glass is in. Which ever colour you go for, you'll be getting one of the best looking phones of 2018.The OnePlus 6 follows this trend, replacing the aluminium body of the OnePlus 5T with a glass rear in the OnePlus 6, and it … [Read more...] about OnePlus 6T vs Huawei P20/P20 Pro: What’s the rumoured difference? OnePlus 6 vs Huawei P20/P20 Pro: What’s the difference? 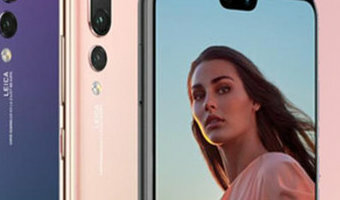 OnePlus and Huawei are arguably the two most recognisable smartphone brands to come out of China and make a success in Western markets over the last few years.Huawei launched its flagship phones for 2018 in the P20 and P20 Pro in April, while OnePlus announced its next giant-slayer in the form of the OnePlus 6 on 16 May.With all three devices now fully unveiled, which is right for you? Here is the OnePlus 6 up against Huawei's P20 and P20 Pro.OnePlus 6 vs Huawei P20/P20 Pro: Design OnePlus 6: 155.7 x 75.4 x 7.75mm, 177g, glass back, water resistant Huawei P20: 149.1 x 70.8 x 7.65mm, 165g, glass back, water resistant Huawei P20 Pro: 155 x 73.9 x 7.8mm, 180g, glass back, IP67 water resistant Notch display design on all three It's safe to say Huawei's P20 and P20 Pro both took a huge detour from the path forged by the P10 series in 2017. Metal backs are out, and shiny, gorgeous, iridescent glass is in. Which ever colour you go for, you'll be getting one of the best looking … [Read more...] about OnePlus 6 vs Huawei P20/P20 Pro: What’s the difference?